Wind or frack? Or will this post send you nuclear? We want electricity. What is the best way to get it? This post is an attempt to summarise objectively three of the most controversial options – nuclear, fracking and wind power. It will be controversial. It is not intended to be the last word on the matter, rather to start the conversation. This is a slightly unusual post. I’ll update the content if new evidence arrives. Let me know if you have any. Other Downsides The waste products are deadly and could be turned into a terrorist bomb.They cannot be quickly started up or slowed down, so the power they produce needs to be first on the grid. Water use – fracking requires 9,000 to 29,000 m3 per well fresh water, just when water is becoming scarce.The gas needs to be transported to a power station to be turned into electricity. Some find the turbines to be unsightly. This is subjective.The power they produce is not predictable, so needs to be the first on the grid. Myths It’s not particularly unsafe – when it goes wrong, it really goes wrong, and this skews people’s view on nuclear safety. It does go wrong, though. Water contamination – this isn’t a big deal with good construction.Earthquakes – they’re mostly tiny. But if fracking goes on near existing faults then larger earthquakes are possible – and we don’t know where all the faults are. So lots of care needed plus detailed surveys. Birds – I heard a story about a community scattering dead birds around turbines so they could check that the person employed to clear up the carcasses was doing his job.They don’t generate much electricity / use more than required to power them – of course not, otherwise why would companies be investing in putting them up? So, how do you want your electricity generated? To me, it really comes down to whether you think the short-lived appearance of windmills on the landscape is worse than the longer-term impacts of climate change from burning gas, and whether or not you value the future in your decision. Of course, there is another option. You could use less electricity. 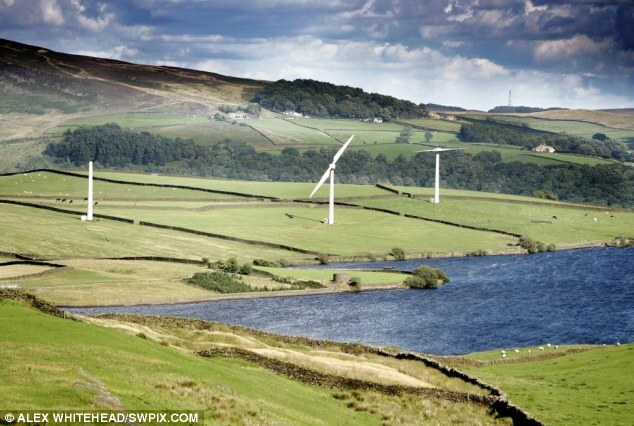 Wind Turbines nr Addingham, Yorkshire – unsightly? This entry was posted in Info and tagged data, fracking, nuclear, turbines, wind by johnbelljubble. Bookmark the permalink. A friend of mine has a large farm in Oklahoma and receives regular cheques from Shell as he allows fracking on his land. So far this year Oklahoma has experienced 238 earthquakes of which 100 registered a magnitude 3 or greater on the Richter scale. From 1991 to 2008 they only had 3 earthquakes a year above a magnitude 3. OK, I’ve done some more research on this. It appears that fracking causes a large number of very minor tremors, which is what I was referring to in the “myths” section above. But if it is done near existing faults then larger earthquakes are the result. And we don’t know where all of the faults are. I’ll adjust the text above. I would much prefer wind and solar (especially micro gen) with some decent research into thorium reactors, I guess as always there are ulterior motives to current nukes and gas and coal stacks. * I think the UK prices per kWh will be different to the US, with different subsidies paid to different generation methods. You may want to look at the new strike prices which have recently been introduced as a more accurate cost going forward (sometimes referred to as contract for difference). For nuclear the strike price for new stations is £93/MW (wind is more like £97/MW I think); if the spot price drops below this the the government pays the difference to the generator whereas the converse is true if the price goes up – this creates a stable platform for the investment needed to build new generating capacity. * The build times reported are a bit optimistic, bit with GE Hitachi having acquired Horizon Nuclear Power then they will build BWRs which are quicker to build. * I take issue with the need to be away from large human settlement. They need to be near a suitably large heat sink (i.e. the sea) and these are often remote. However Heysham 1 and 2 are next to Lancaster, Hartlepool PS is next to Hartlepool (!) 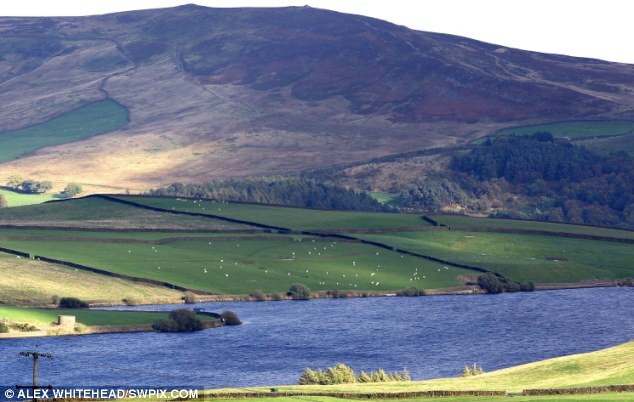 and Torness is a short drive from Edinburgh. * The legacy question is the main (only?) issue because of the significant timescales involved. If the economics are right then reprocessing used fuel to complete the nuclear fuel cycle is a viable way of minimising the waste, which is already of a low volume. Most countries are planning deep geological disposal for the long term storage. * You are correct that Nuclear is slow to start, though can be shutdown quickly if required and power is required post shutdown to remove decay heat. (This is what went wrong at Fukushima). The first on the grid is actually usually hydro (in the case of grid failure) although what I think you mean by first on the grid is that Nuclear provides the baseline generation and other technologies more suited to load following like gas are used fill in the peaks. However countries like France who are something like 80% Nuclear do allow there stations to load follow. * Ok legacy is not the only issue, the other is the emotive fear of the general not technically educated population in response to the reporting of the popular press. Things went about as badly wrong as they could go at Fukushima yet there was not a single fatality in dealing with the incident due to the radiation (and not expected to be any in the long term either). There were a couple on the plant due to the flooding which also killed ca. 30000 I believe. If anything the wider spread of nuclear power will reduce the carbon emitting generating technologies that are driving the kind of natural disaster that triggered the Fukushima event. At work we often discuss that when there is a problem with oil or gas then only the company involved gets in trouble (e.g. BP recently). In nuclear it is the whole industry which gets in trouble because of the emotive nature of the subject. I think people with a Physics background like yourself could do more to dispel the myths that the traditional press always roll out. However, the tidal wave that caused Fukushima has actually indirectly resulted in more carbon emitting generation because all the nuclear was shutdown in Japan and Germany – hence increasing the rate of climate change. * There are also a few problems with units in your article, check your k vs K and g vs G in places. I have said before that we need a broad mix of generating technologies. I do not personally believe much will be achieved in reducing demand; demand will only go up as population booms regardless of lifestyle changes. Perhaps we should instead try to limit population growth – how politically popular would that policy be? I think Fracking has a real future to safeguard clean gas generation and that wind turbines should cover the countryside (I think they are beautiful actually). I also think you want a good proportion of power coming from Nuclear too (but as noted I have a vested interest). I generally agree with your views on generating technologies, although I think none are ideal. Trouble is that they will all take too long to implement. The only way that catastrophic climate change can be avoided is via reducing demand. * The prices are supposed to not include incentives from a particular region (“The availability of various incentives, including state or federal tax credits, can also impact the calculation of levelized cost. The values shown in the tables in this discussion do not incorporate any such incentives”). I’m not an expert, but I understand that the strike prices are intended to reflect the existing Renewable Obligation payments, and so are an incentive regime rather than a measure of cost. * Build times may be optimistic. I got them from a source to which I did not keep a reference, unfortunately. If it’s any consolation I think they are optimistic for wind and fracking as well. * Take your point about being near human settlement – I’ll amend the article. * Your other points are well made. I don’t think they need a change in the article, other than the units question – shout if you think something else ought to be altered. I’ll have a look at that.